In the cold month of January, our heads turn to the thought of heating. We all want our home to feel warm and toasty after a long day at work, so choosing the right system is important. Underfloor heating (UFH) is a great idea for those wanting to quickly heat their home up – who doesn't want warm feet, especially in the British winter time?! Here at Real Stone & Tile, we supply underfloor heating from Thermogroup, who have developed an affordable electric underfloor heating that can be used throughout your home and even on your driveway! Many customers are reluctant to the idea of underfloor heating, firstly if you're not already renovating your chosen room, it can be a rather big job. Also, one of the many myths about UFH is that if something is to go wrong, the whole flooring must come up – wrong. To get a better understanding of underfloor heating, Real Stone & Tile's Leigh Price is here to answer the common misconceptions. 1.Can underfloor heating be used on any type of floor? Underfloor heating can be used with many types of flooring, such as wood, laminate and vinyl – however to get the best use out of your heating solution I would recommend using tiles. 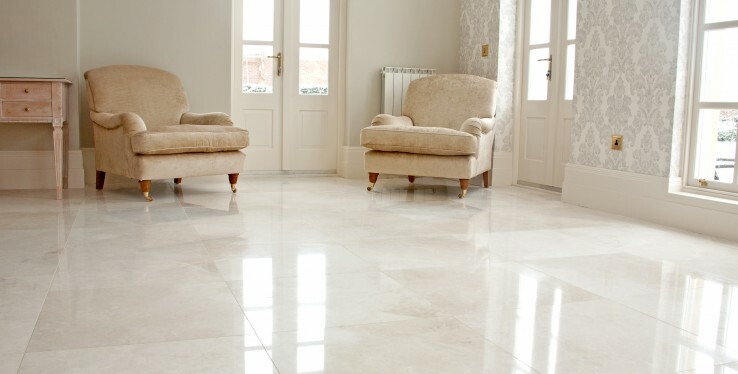 Porcelain and ceramic tiles are the most thermally conductive floor, so the heat can be transferred with little resistance, giving the best heat-output. Other types of flooring are still great to use with UFH, you just need to make sure that the thickness of the product or underlay is not causing resistance, stopping the heat from getting through. 2.Will it save me money? Underfloor heating is quickly becoming one of the most popular heating sources in UK households, as it offers a cheaper alternative to traditional systems. Thermogroup's electric underfloor system distributes the heat evenly across the floor's surface, whilst also reaching their set temperature at a quicker speed than traditional systems, so you can avoid wasting energy and paying larger bills. Using the smart systems at Thermogroup, you can also create a heating schedule, so you never have to worry about wasting money on heating an empty house. 3.If something goes wrong, does the whole flooring have to come up? No – this was often the case with the more traditional underfloor systems, but with Thermogroups UFH, the only thing which will need to be looked at if something goes wrong is the thermostat on your wall. There are step-by-step safety checks in place to prevent any problems arising. When you are fitting the underfloor heating, everything should be checked prior to putting the floor down to prevent any delays – providing you've chosen a good fitter! To put your mind to ease, Thermogroup has a lifetime guarantee on all their products, so there should be no reason for you to have to pull up your flooring due to problems caused by the UFH. 4.Who is the best person to install my UFH and will it take long? If you are installing underfloor heating as part of a larger project such as a ground floor family room or kitchen extension, then we can provide a flooring plan for the tiler to follow with the final checks to be made by a qualified electrician. Thermogroup also have a team of highly qualified fitters who can carry out the installation, so you can relax knowing your heating will be fitted by experts. With many electric underfloor heating systems, it can be a lengthy process until you're able to place the final layer of your flooring down. However, the Vario PRO underfloor heating from Thermogroup can be installed in just three steps, which means you are able to complete the job in just one day. To find out more about Thermogroup's under floor heating, supplied here at Real Stone & Tile, pop into our Cheadle showroom or give us a call on 0161 485 1373.